What do a retired game warden and a small town news editor have in common? A love of country living, conservation and gardening. Those passions drove Kevin and Chanin Mountz's decision to relocate to Taylor Township to a private development known as Pineloft in 2005. Several years later those same interests spurred the start up of their own business, known as Pineloft Landscape and Garden Center, which has expanded into the only plant and garden supply shop in northern Fulton County. 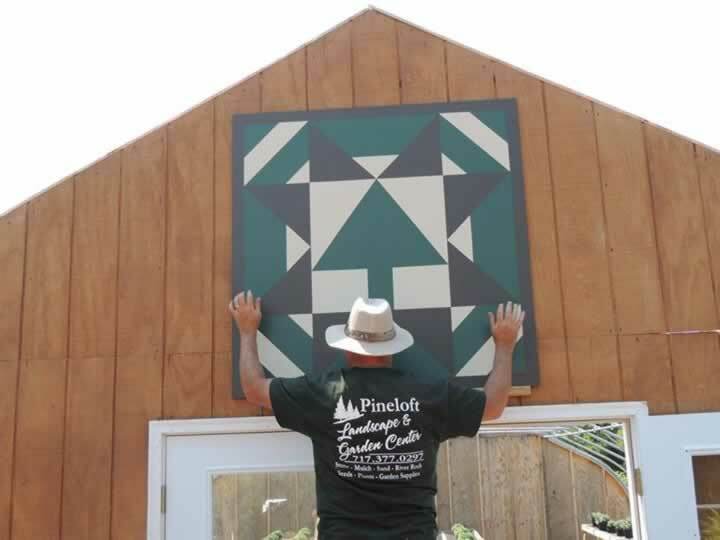 The family's pine tree design that adorns their barn quilt was an easy choice for the Mountz's, who enjoy the peace and solitude of living in a secluded, wooded area.